Meikles Foundation seeks to endorse and work with the arts, education, prisons, the vulnerable, community centres, endangered animals, and the unexpected. We work towards combining two or more of these elements. The Foundation is building an art collection that will embody the best of the new and contemporary Zimbabwean works. This artwork will be hung at Meikles Hotel. The Foundation prefers to work in collaboration with existing entities, rather than to be the founders. It is in seeking these partnerships, the Foundation has found themselves to be most useful. 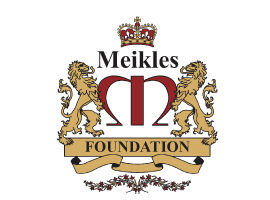 The Foundation is primarily funded by Meikles Ltd and consists of a board. The Foundation is answerable to this board and to the Meikles Limited board including having audited accounts. No funding is sought out for administration of this Foundation, The endeavour is to reach as many people as possible, but not to walk past the few.